Moody's Investors Service has today (March 26) affirmed the long-term issuer rating of the Government of the United Arab Emirates' (UAE) at Aa2.The outlook remains stable. 1. Moody's assumption of unconditional support from Abu Dhabi (Aa2 stable) to the federal government. 2. Strong credit fundamentals including very high fiscal strength, with a broadly balanced budget and negligible or very low federal government debt, high wealth levels and robust institutions. The stable outlook indicates that the risks to the ratings are broadly balanced supported by the stable outlook on the Abu Dhabi sovereign rating, upside potential from continuing diversification efforts, and constrained by lingering government-related entity contingent liabilities and geopolitical tensions. The UAE's long-term and short-term foreign-currency bond and deposit ceilings remain unchanged at Aa2 and Prime-1, respectively. The UAE's long-term local-currency bond and deposit ceilings also remain unchanged at Aa2. The affirmation of the Aa2 rating incorporates Moody's view that the government of Abu Dhabi, the wealthiest of the seven Emirates that comprise the UAE, stands fully behind the federal government of the UAE. This view is supported by strong institutional linkages and the Abu Dhabi government's substantial and continued financial contribution to the federal budget. 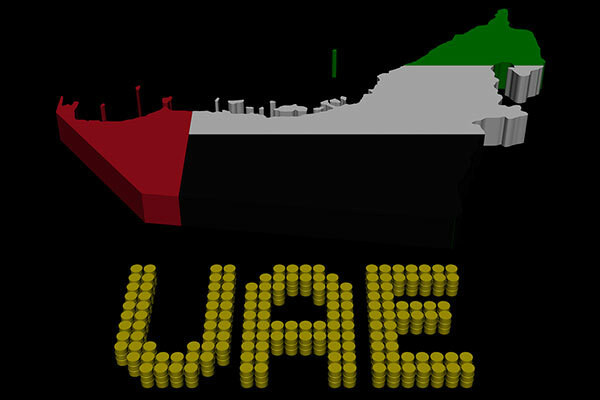 The federal budget derives over a quarter of its revenues in the form of grants from Abu Dhabi. The Emirate's strong financial position, which Moody's expects to be maintained, will support the federal government's revenues. Moody's forecasts Abu Dhabi's government budget to be in deficit but close to balance in 2019 and 2020, after transfers to the federal government, before moving into surplus in 2021 and 2022 as oil production increases sharply on the back of planned upstream investments. Moody's projects no or very low federal government debt in the foreseeable future and very high fiscal strength for the UAE, even as new debt issuance powers have recently been bestowed to the federal government. The federal government retains 30 per cent of the revenue raised from VAT, introduced in January 2018. Moreover, established revenue sources are also likely to remain robust. Royalties and dividends from the telecommunications sector will continue to benefit from the providers' privileged position in the domestic UAE market. Although government fee revenues are unlikely to increase significantly given the recent commitment to freeze fee increases as part of recent efforts to support economic activity in the private sector, current sources of revenue will broadly balance expenditure, if oil prices remain around their current levels in line with Moody's assumption. GDP per capita of around $68,646 in 2017 on a PPP-adjusted basis provides significant shock absorption capacity to the economy. Although real GDP growth has slowed since the oil price shock, Moody's forecasts real GDP growth to average 3.2 per cent over 2019 and 2020, which will maintain very high income levels. Domestically, growth in the private sector should benefit from the economic reforms taken at federal and emirate level as well as higher fiscal spending under Abu Dhabi's three year stimulus package. Externally, a gradual easing of fiscal restraint in Saudi Arabia (A1 stable) should also be supportive of non-oil goods and services exports. However, a more robust acceleration in growth will be constrained by oil prices staying around their current levels. The UAE's rating is also supported by robust institutions. The UAE's current position in the Worldwide Governance Indicators (WGI) marks a significant improvement from 2010, reflecting improvements in competitiveness underpinned by business environment reforms such as the new foreign direct investment law and recent changes to the visa framework to create long-term visas for investors as well as key specialist professionals and exceptional students. Stronger regulation and tightened underwriting practices introduced after the 2008 financial crisis have helped to lower the risks to the banking system from the real estate sector. However, the availability and timely publication of macroeconomic and fiscal data, particularly at the Emirates level, falls short of other Aa-rated governments, potentially hampering policy effectiveness. Moody’s has also affirmed the long-term issuer and senior unsecured ratings of the Government of Abu Dhabi at Aa2. The outlook remains stable. Moody's has affirmed the short-term issuer rating at P-1, and the long-term and short-term MTN programme ratings at (P) Aa2 and (P) P-1, respectively. Moody’s says that the affirmation of Abu Dhabi's Aa2 ratings is supported by its expectations that the sovereign's fiscal strength will remain very high, with very low government debt and vast sovereign assets. Prospects for a medium-term increase in economic activity and revenue from the hydrocarbon sectors and reforms aimed at developing the non-oil sector also support the ratings.